The mysterious spacecraft lifted off at 11:10 a.m. PST (2:10 p.m. EST; 1910 GMT) Saturday aboard the Delta 4-Heavy from picturesque Space Launch Complex-6 at Vandenberg, a military base around 140 miles (225 kilometers) northwest of Los Angeles. 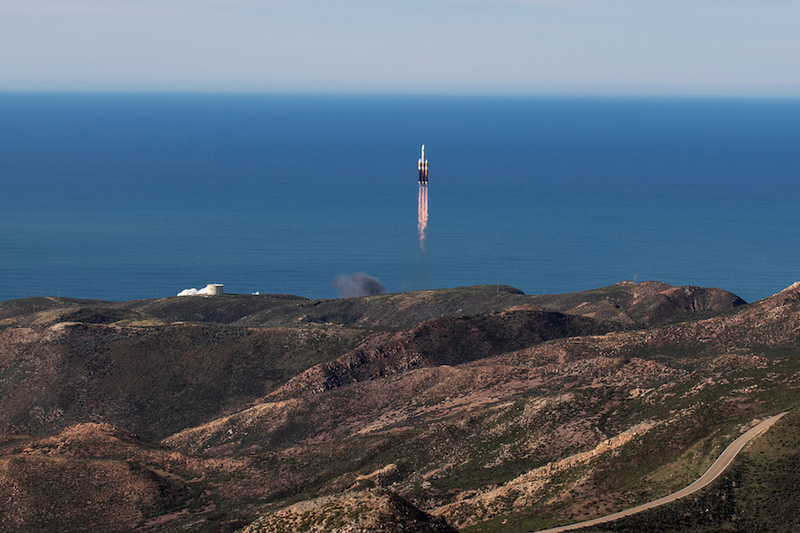 Running more than a month late after a series of scrubbed launch attempts in December, the 233-foot-tall (71-meter) rocket lit its three hydrogen-fueled Aerojet Rocketdyne-built RS-68A main engines in a stepwise fashion in the final seconds of Saturday’s countdown. After clearing a health and readiness check from the Delta 4’s countdown control computer, the engines powered the launcher off the pad at the southern edge of the rugged military base overlooking the Pacific Ocean. The rocket headed south-southeast from the West Coast spaceport over the Pacific, following a trajectory that roughly paralleled the cost of Southern California, according to pre-flight hazard notices warning airplanes and ships to stay away from downrange drop zones for the Delta 4-Heavy’s first stage boosters. The rocket’s twin side boosters shut down and jettisoned from the core stage around four minutes into the mission. The center core’s RS-68A engine throttled up from a fuel-saving partial thrust mode to full thrust and fired until around T+plus 5 minutes, 36 seconds. A few seconds later, the first stage core booster separated, giving way to the Delta 4’s second stage powered by an RL10 engine, also burning hydrogen fuel and built by Aerojet Rocketdyne. Just after the mission’s six-minute mark, the Delta 4’s two-piece nose shroud separated in a clamshell-like motion after the rocket reached space, where the payload’s protective aerodynamic shield was no longer required. 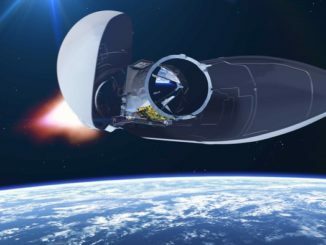 At that point, ULA ended its live video broadcast of the flight at the request of the NRO, and the rest of the mission occurred under a veil of secrecy. ULA issued a press release around 90 minutes after liftoff to confirm the successful conclusion of the mission, which was codenamed NROL-71. This was the first of up to seven ULA flights on the books this year, and the 132nd ULA mission since the company formed in 2006 with the merger of the Atlas and Delta rocket programs developed by Lockheed Martin and Boeing. All of the launches in the ULA era have been successful. The identity, purpose and orbit of the payload launched Saturday have been kept secret by the NRO, which owns the U.S. government’s spy satellite fleet, supplying imagery and data to intelligence agencies and the military. But expert observers who carefully track satellite activity surmise the spacecraft likely entered an orbit several hundred miles above Earth, at an inclination of around 74 degrees to the equator, based on information in the public domain about the rocket’s course after launch, and the location in the Pacific Ocean where the Delta 4’s upper stage was expected to deorbit and re-enter the atmosphere. 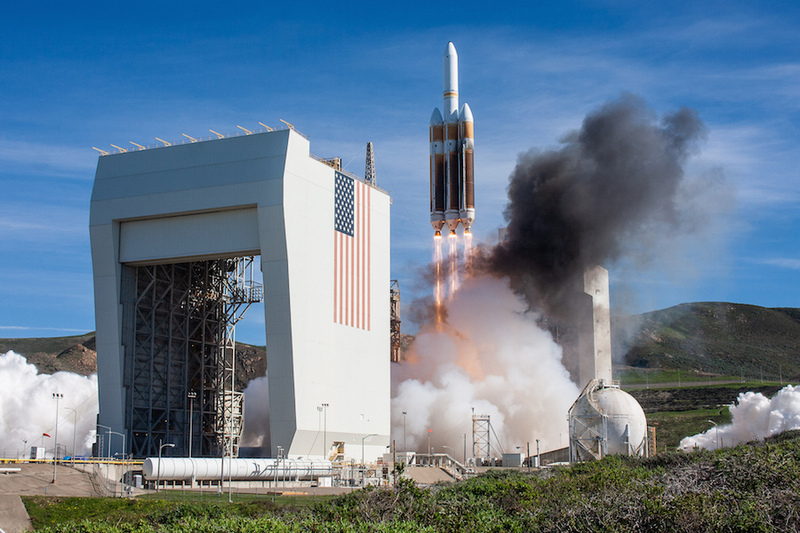 The Delta 4-Heavy rocket, the largest vehicle in ULA’s inventory, had only flown twice from Vandenberg before Saturday — once in 2011 and another time in 2013. Those missions are believed by analysts to have delivered new Keyhole, or KH-11, electro-optical reconnaissance satellites to orbit. When the NRO announced the next Delta 4-Heavy mission from Vandenberg, observers expected the rocket to loft a new optical imaging satellite to join the others in higher-inclination sun-synchronous orbits tailored for regular, repeatable observations of strategic sites, military installations and other targets of interest to U.S. intelligence agencies. The KH-11 satellites are essentially bus-sized telescopes peering down on Earth, with primary mirrors measuring 7.9 feet (2.4 meters) across, the same size as the mirror on the Hubble Space Telescope. The ultra-sharp, very-high-resolution imagery produced by such satellites is believed to be unparalleled, and the spy craft relay their observations to the ground via the NRO’s dedicated network of communications satellites. The Delta 4-Heavy missions in 2011 and 2013 deployed gap-filler KH-11-type satellites to continue supplying the government with reconnaissance imagery after the NRO canceled a contract with Boeing for a replacement line of optical imaging craft as part of the Future Imagery Architecture program. Keyhole satellites before 2011 launched on Titan rockets from Vandenberg. The NRO eventually selected Lockheed Martin — the same company that built the past generation of KH-11 satellites — to construct at least two new-generation spacecraft, introducing new technology and other upgrades into the spy satellite constellation. The new electro-optical surveillance satellites, sometimes called KH-11 Block 5, have the same 2.4-meter mirror diameter as the earlier Keyhole-type Earth-imaging platforms, according to past public statements by government officials. The direction of Saturday’s launch toward the south-southeast, first revealed in advance of the Delta 4-Heavy’s first launch attempt last month, threw a wrinkle in analysts’ predictions about the payload’s identity. The unexpected orbit targeted by the Delta 4-Heavy raised speculation that the rocket might carry a radar imaging satellite, or perhaps a stealthy payload designed to evade tracking from the ground. But Ted Molczan, a leader in the global community of hobbyists who expertly monitor satellite movements, still believes the most likely candidate for the payload launched Saturday is the first in the U.S. government’s new line of sharp-eyed optical imaging birds. “I have long expected NROL-71 to launch the first Block 5 KH-11, and that has been the consensus among others who have expressed their opinion,” Molczan wrote in an online forum where the satellite tracking community discusses their observations. There are no other known hefty satellites in the NRO’s pipeline that require the Delta 4-Heavy’s lift capability, and the timing of the launch is consistent with when a new program formally started in 2012 could be ready for flight, Molczan wrote. The NRO also began launching modernized data relay satellites in 2016, a step taken just before the first launch of each new generation of Keyhole-type satellites dating back nearly 30 years, according to Molczan. Satellites in sun-synchronous orbits view their imaging targets at the same time every day, under the same solar lighting conditions. Viewing from a different orbit would allow imaging with the sun at different angles, enabling the satellites to spot changing shadows and other characteristics. 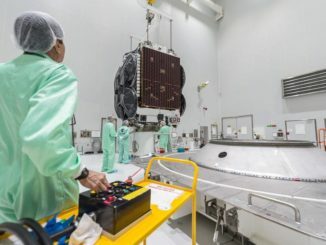 Marco Langbroek, an archaeologist who also tracks satellites in the Netherlands, suggested the NROL-71 payload could be a radar satellite, which typically fly in orbits with big tilts against the equator, but not in sun-synchronous orbit. 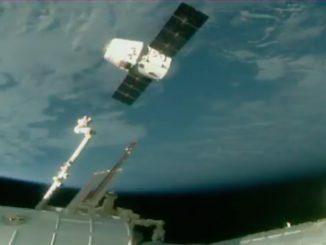 Trackers around the world will attempt to locate the satellite with visual and radio observations to compare its behavior with the NRO’s other spy craft. Observers in Europe said they detected radio signals from the new satellite a few hours after launch Saturday, which confirmed the satellite was in a low Earth orbit inclined 74 degrees to the equator, as predicted. “NROL-71 appears to be the first in a new block of ‘something,’” Langbroek wrote on his website.